Nexus 5 the latest in the Stock Android phones series has come out with some awesome features and LG is now turning to get a good market with its release of LG G2 which is getting a lot of positive reviews except for its pricing. 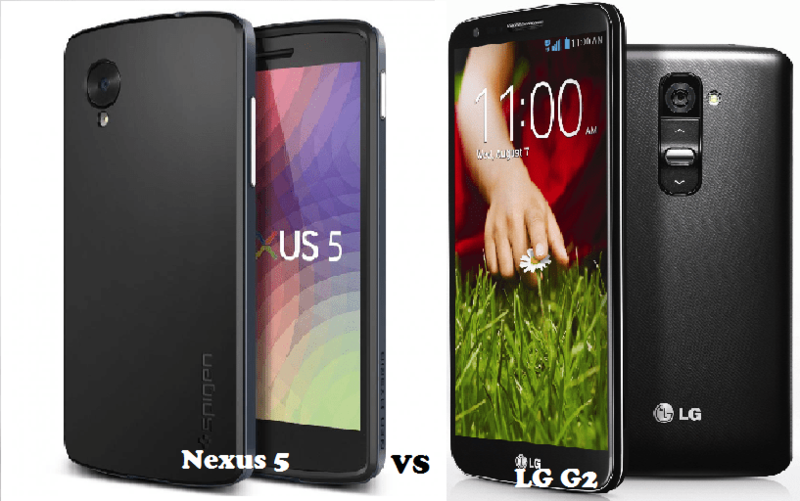 Nexus 5 being a product of LG and Google is also a classy phone with some amazing specifications and here we are going to compare features and specifications of LG G2 vs Nexus 5. The Battery of the LG G2 is of a much higher capacity and i must say the battery life is going to be an issue with this device as well as we have faced a lot of issues with the heating and low battery like by Nexus 4. Wish LG and Google would have considered a better battery for such a powerful device.